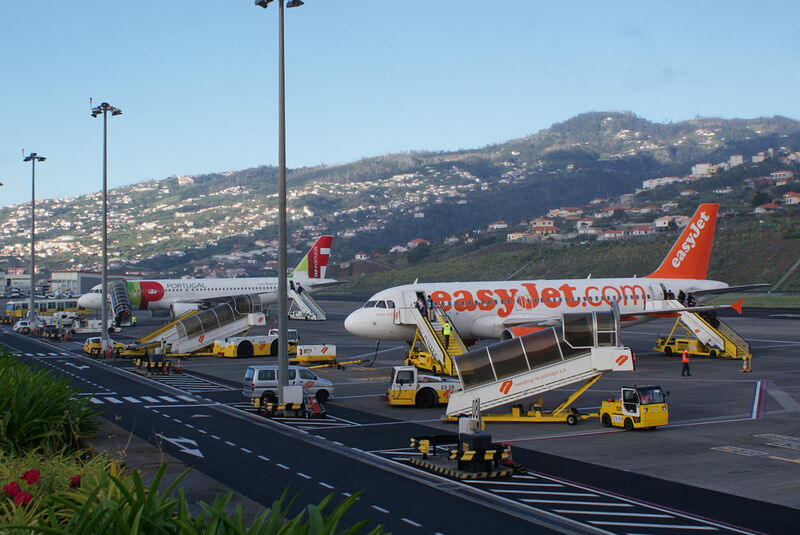 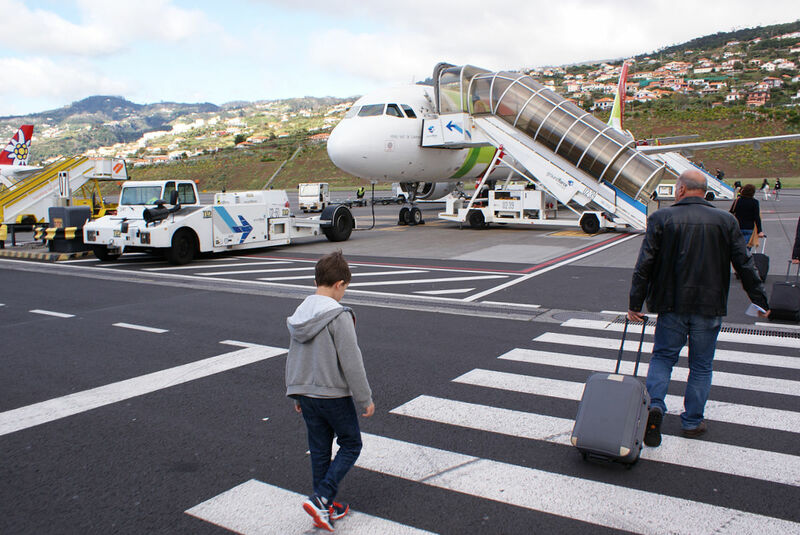 The Funchal ramp in the morning with TAP and easyJet Airbuses getting ready for the next flight. 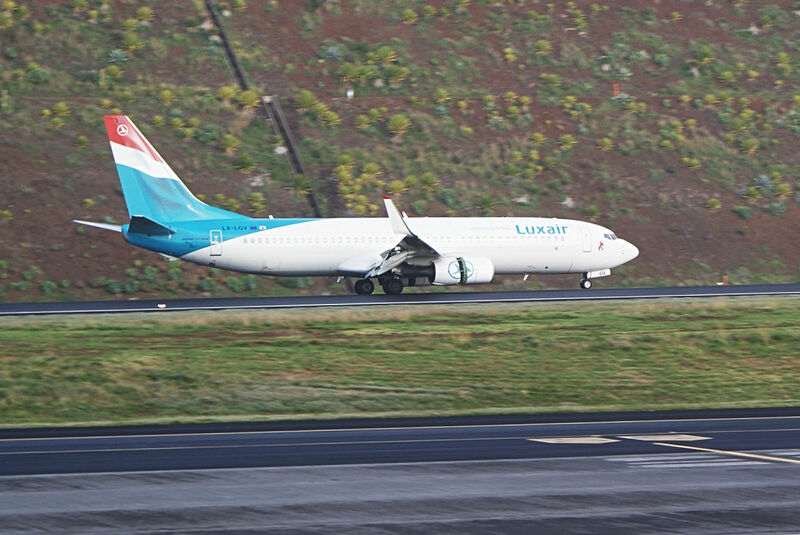 …and rolling out after a touchdown. 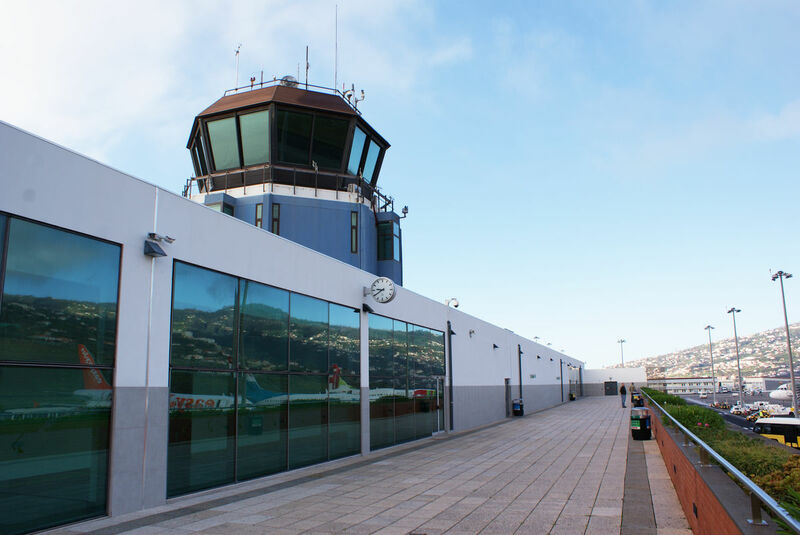 Observation deck of the Madeira Airport (FNC). 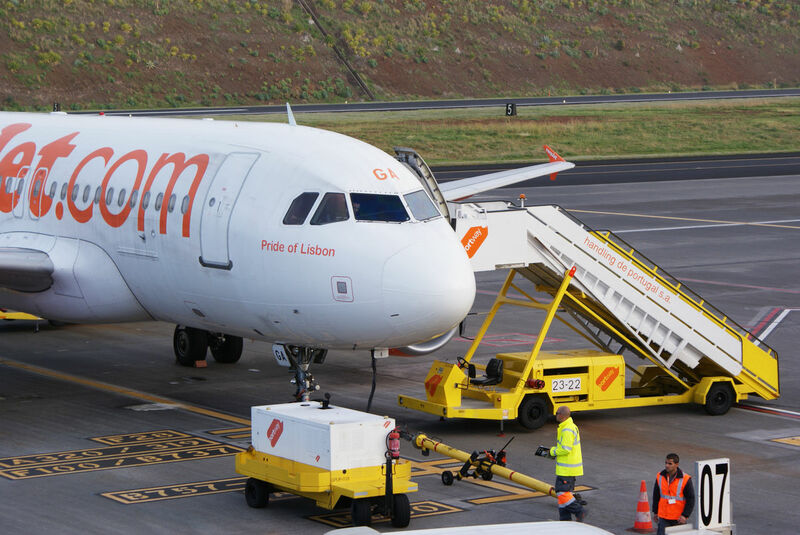 Details of easyJet A319 getting ready for the next flight. 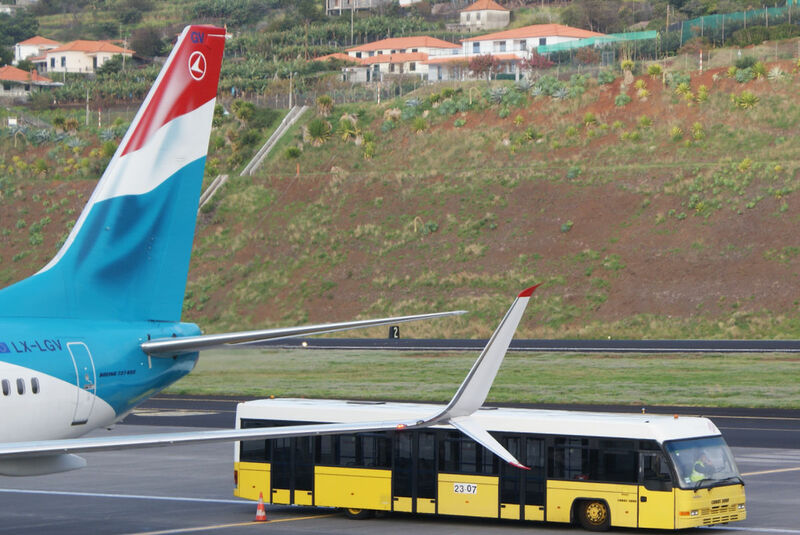 Luxair’s Boeing 737 is equipped with the split scimitar winglets. 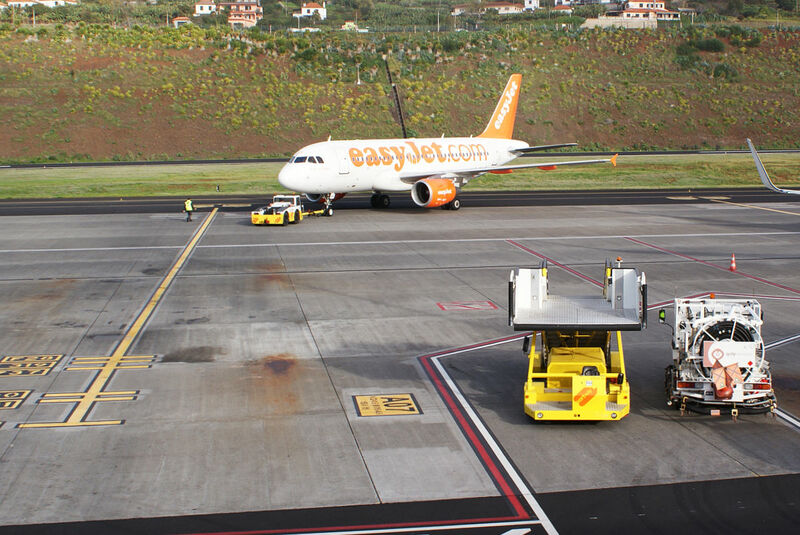 easyJet A319 finally pushing back. 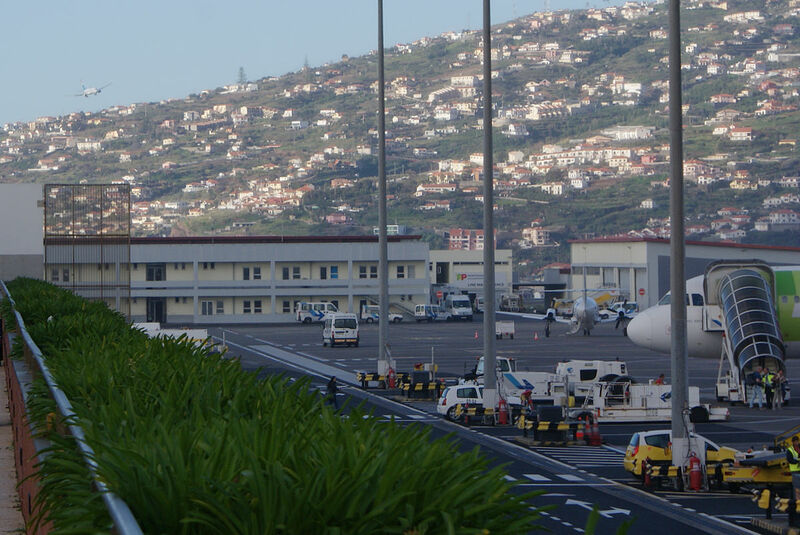 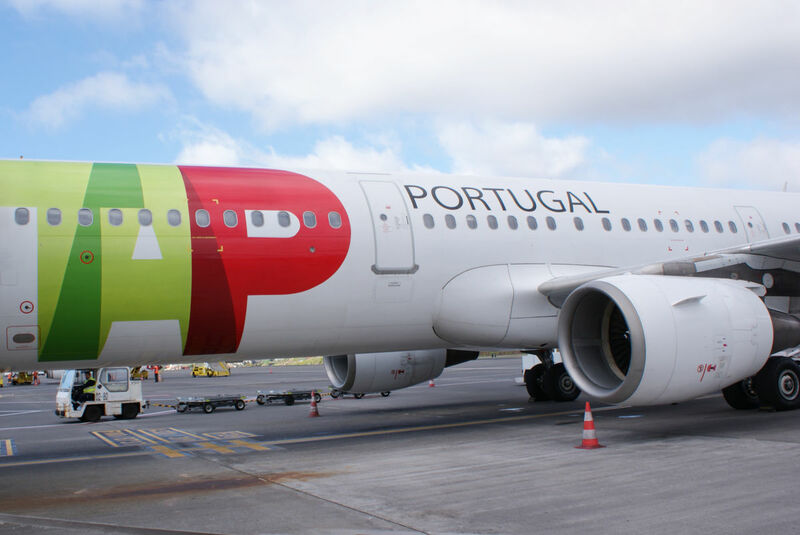 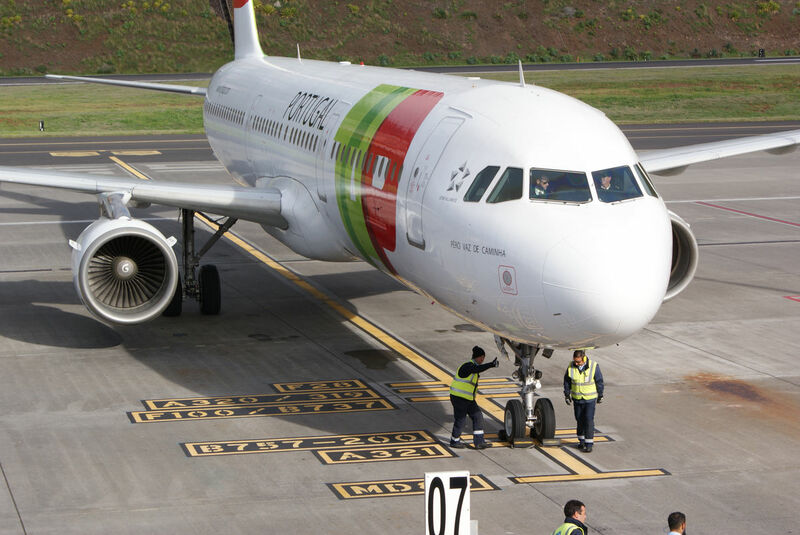 TAP A321 airborne over Funchal’s extension of the runway, built on a platform, partly over the ocean, supported by 180 columns. 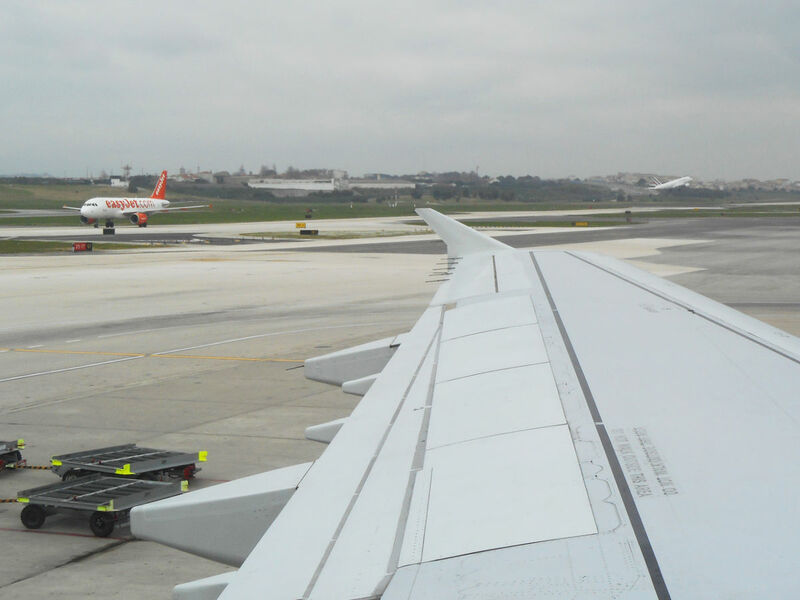 easyJet A319 about to rotate. 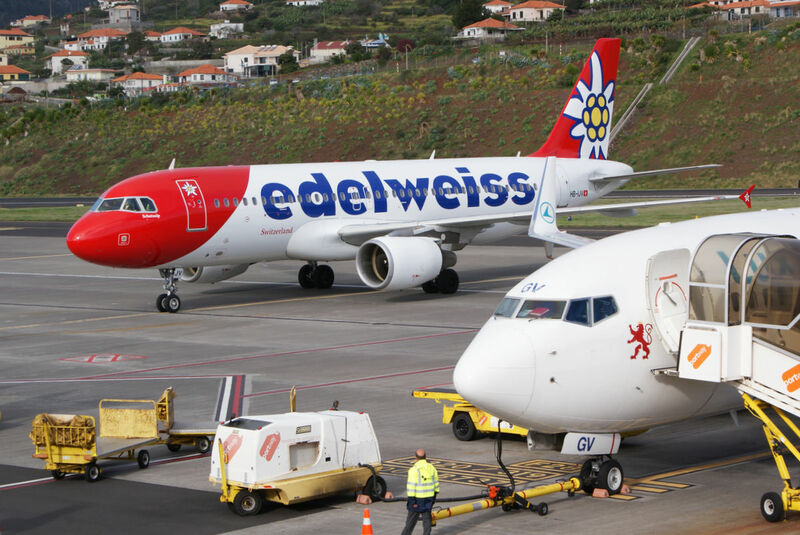 Edelweiss A320 just arrived from Switzerland. 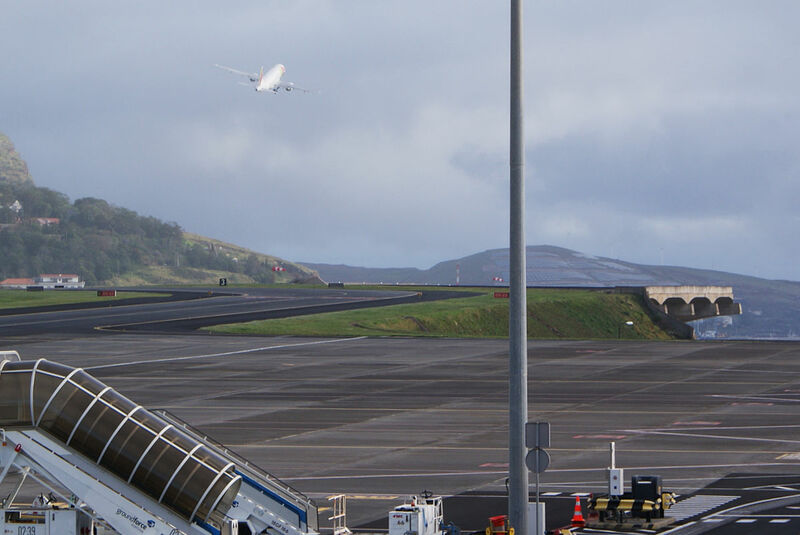 Our TAP A321 just vacated the runway and following the marshaller is approaching the dedicated gate. 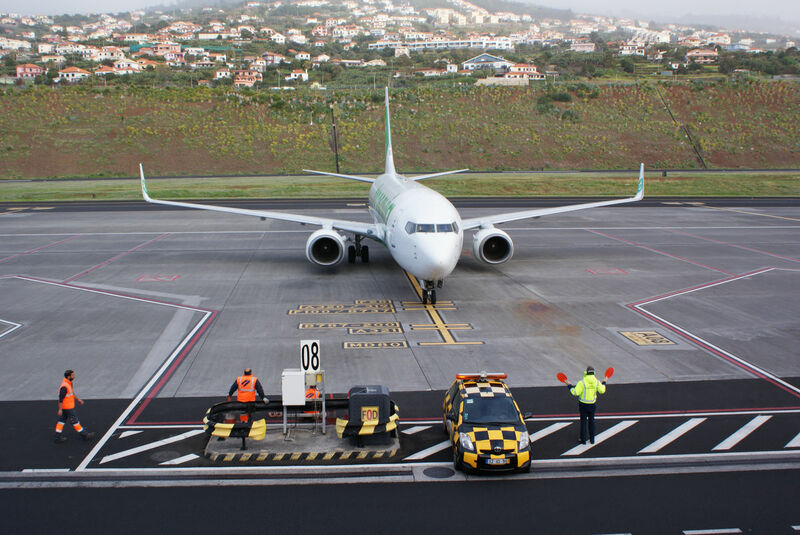 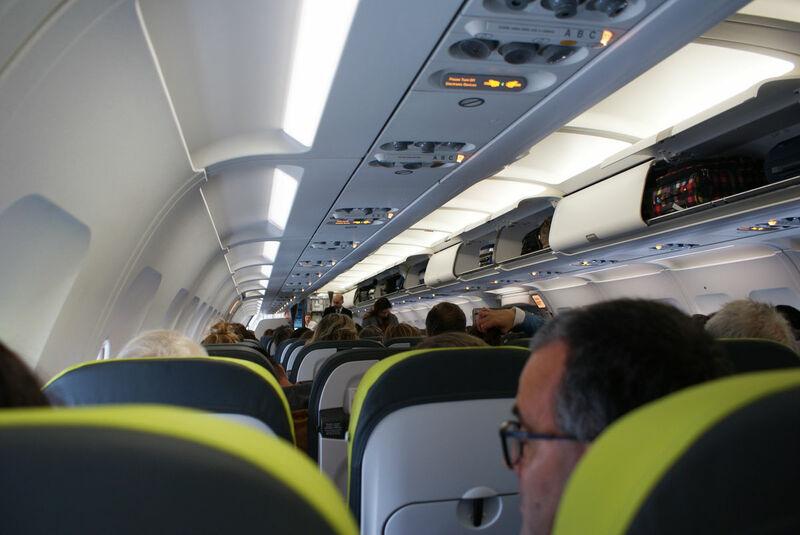 The airplane is secured and ready for de-boarding. 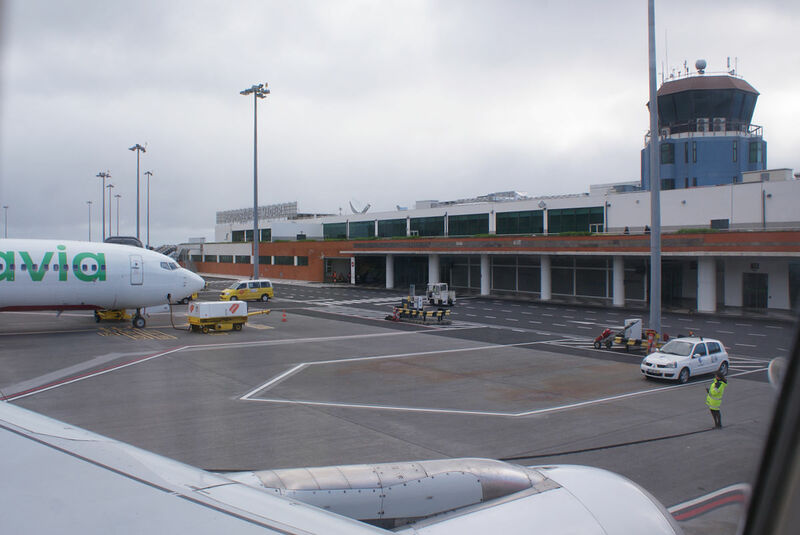 In the seat looking at the terminal and the observation deck we visited just minutes ago. 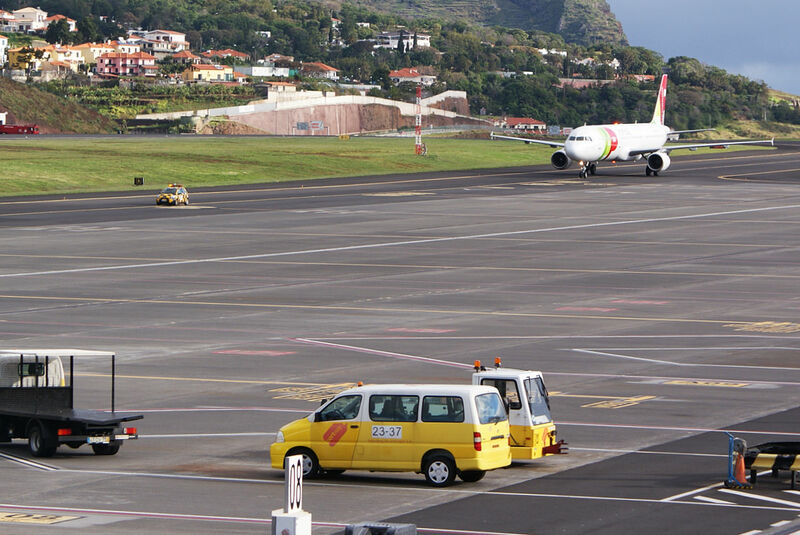 Taxi and takeoff from Madeira Airport (FNC) Runway 05. 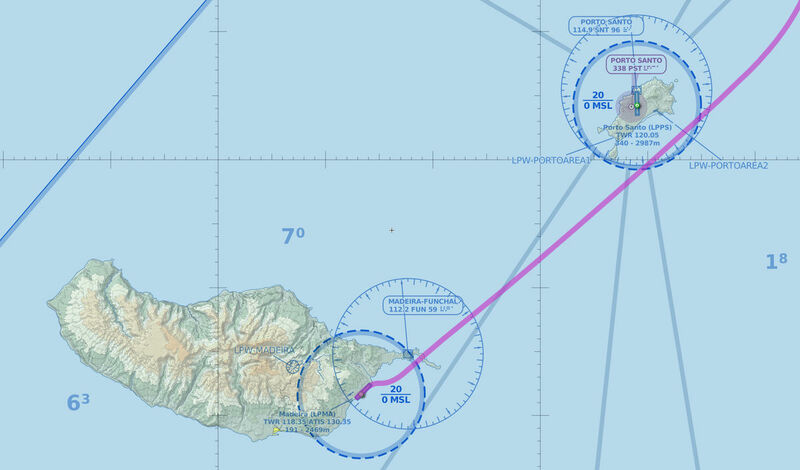 Our departure route takes us after the initial turn towards Porto Santo. 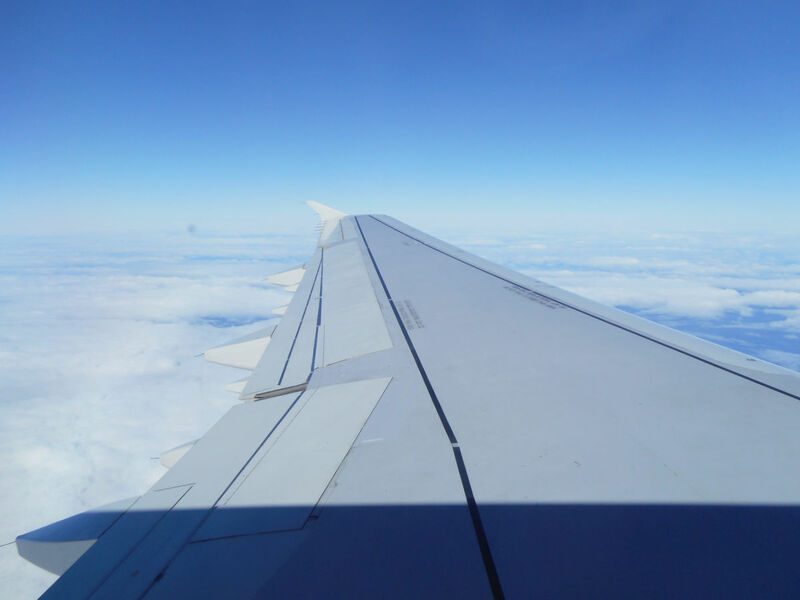 Cabin atmosphere after a takeoff. 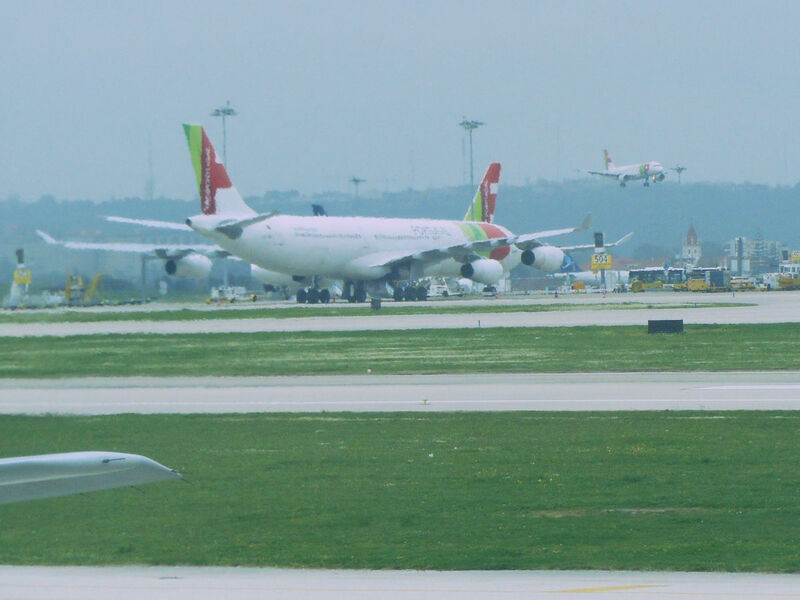 Taxiing towards the gate. 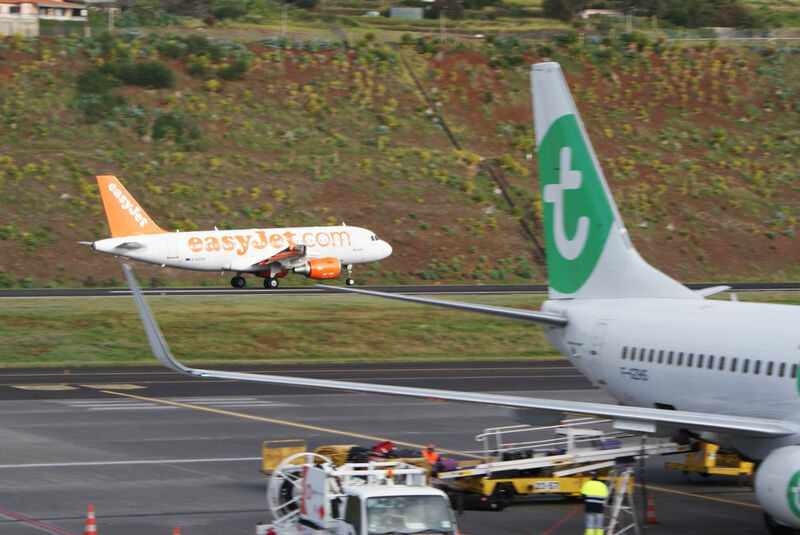 easyJet A319 just vacated the runway and Air France A320 is rotating in the distance. 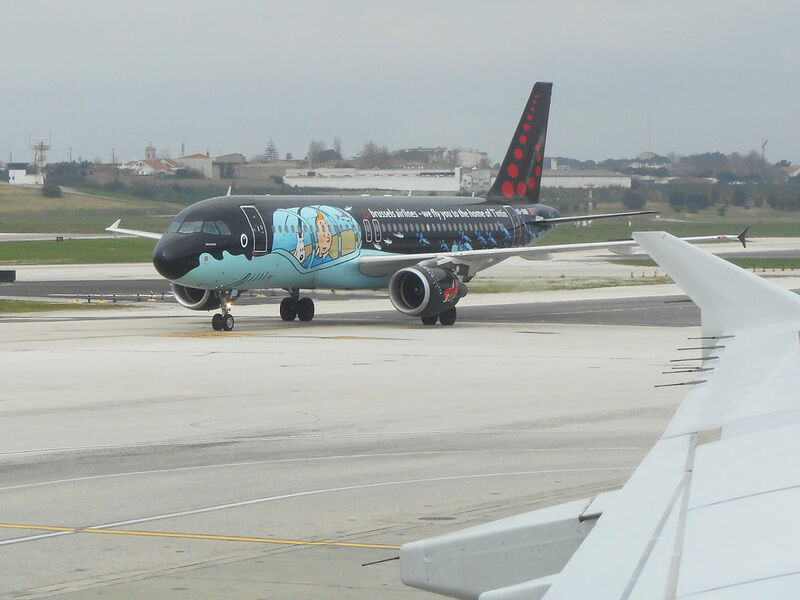 A special treat: Brussels Airlines A320 in Rackham livery (OO-SNB). 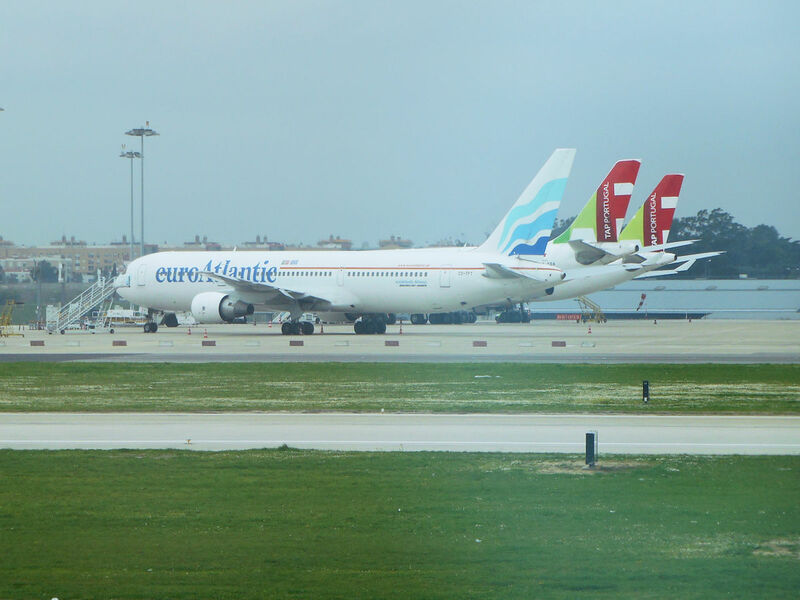 Part of the TAP long-haul fleet and a single EuroAtlantic Boeing 767 on the remote stand. 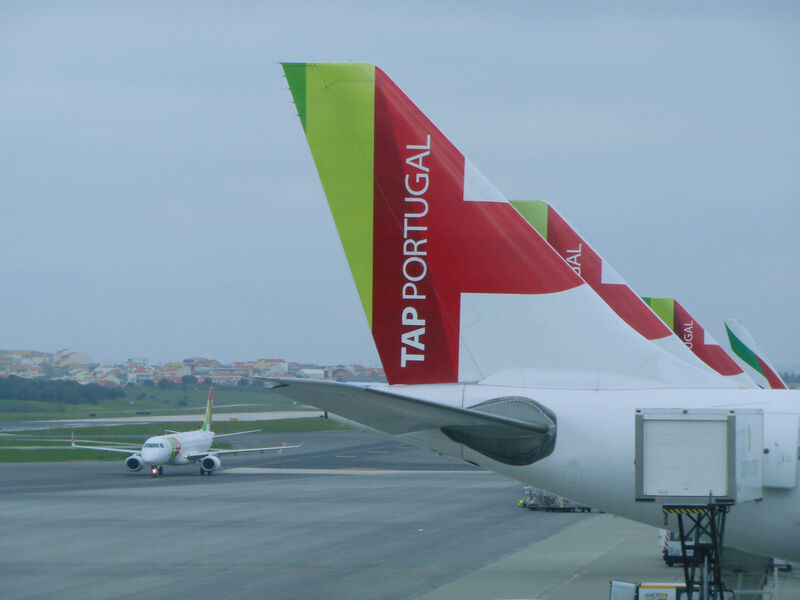 TAP A340 approaching the active runway and TAP A320 on short finals. 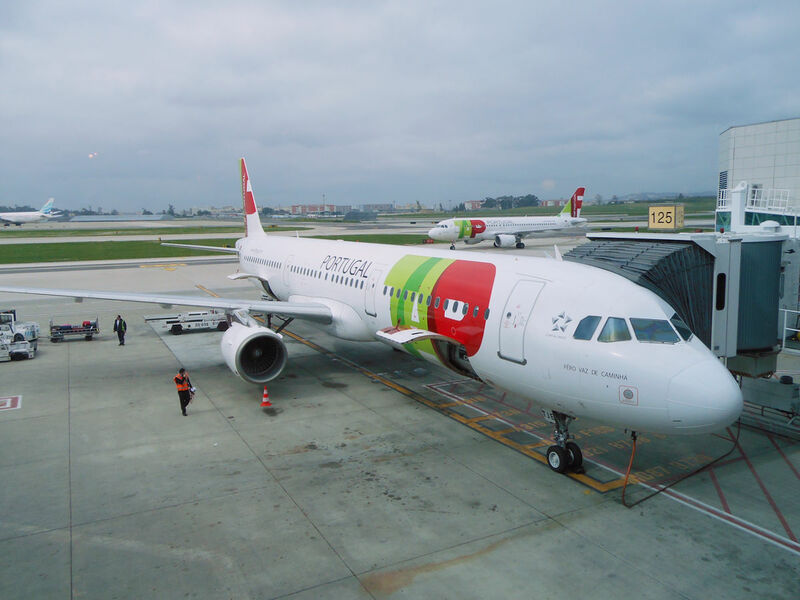 Our A321 parked at the gate of our arrival. 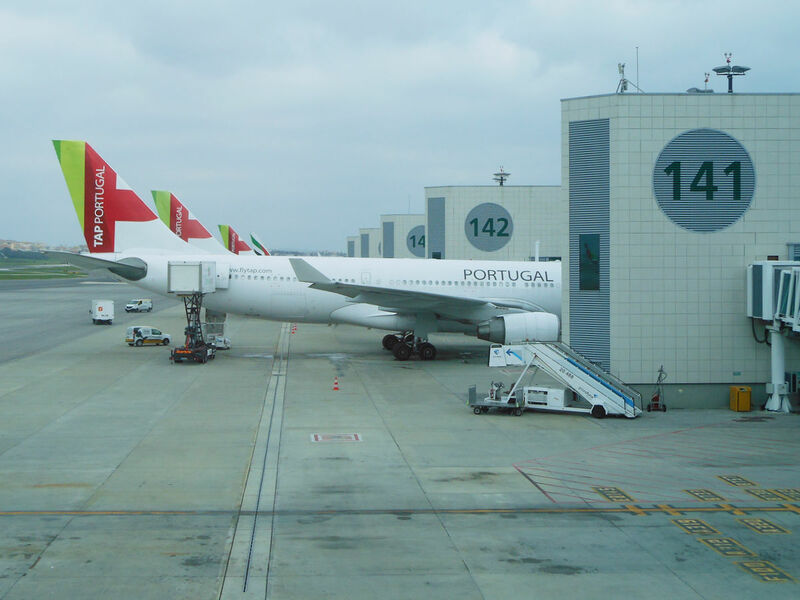 A view of an extension of Terminal 1, dedicated to transcontinental flights. 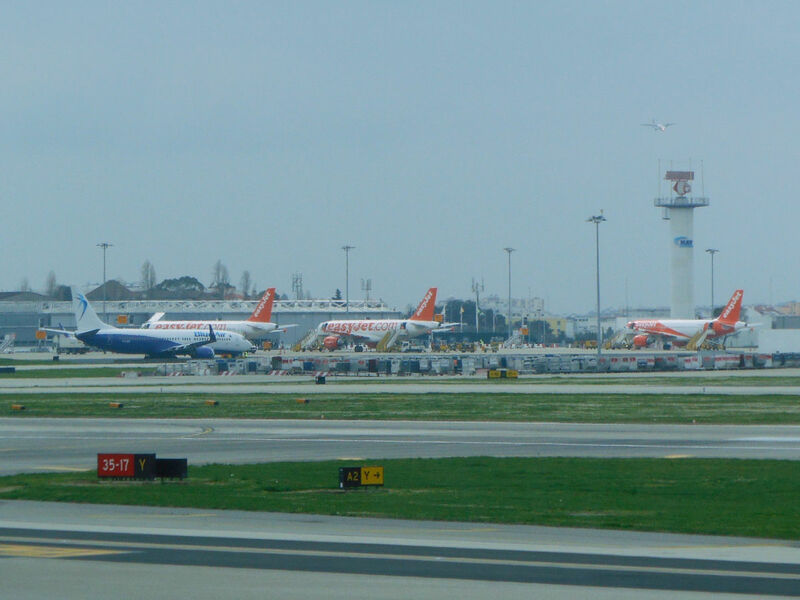 Terminal 2 in the distance, used mostly by the low-cost airlines. 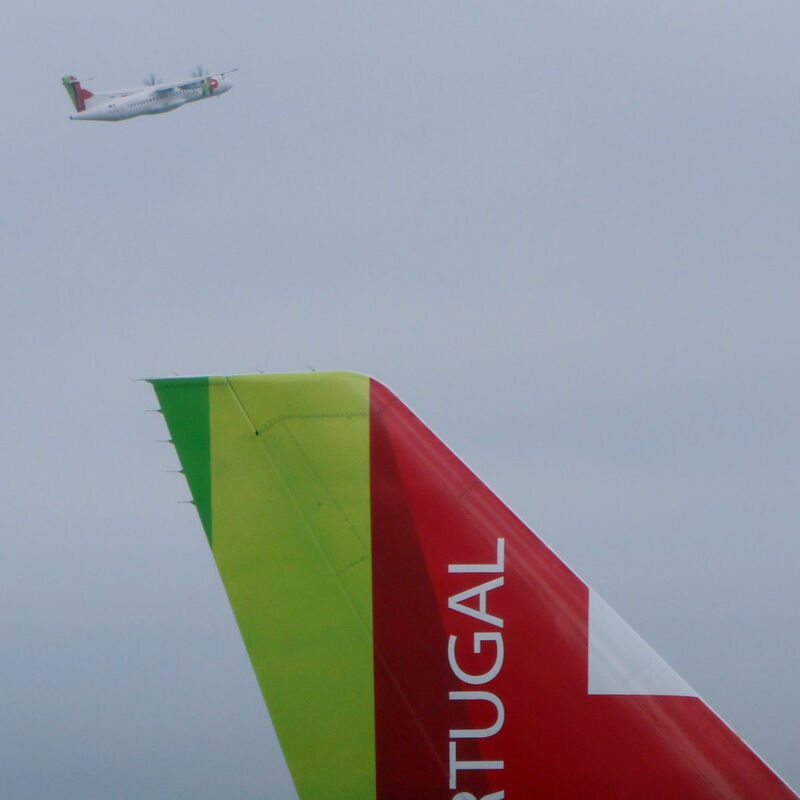 Tails of the TAP long-haul fleet dwarf a single TAP Embraer E190. 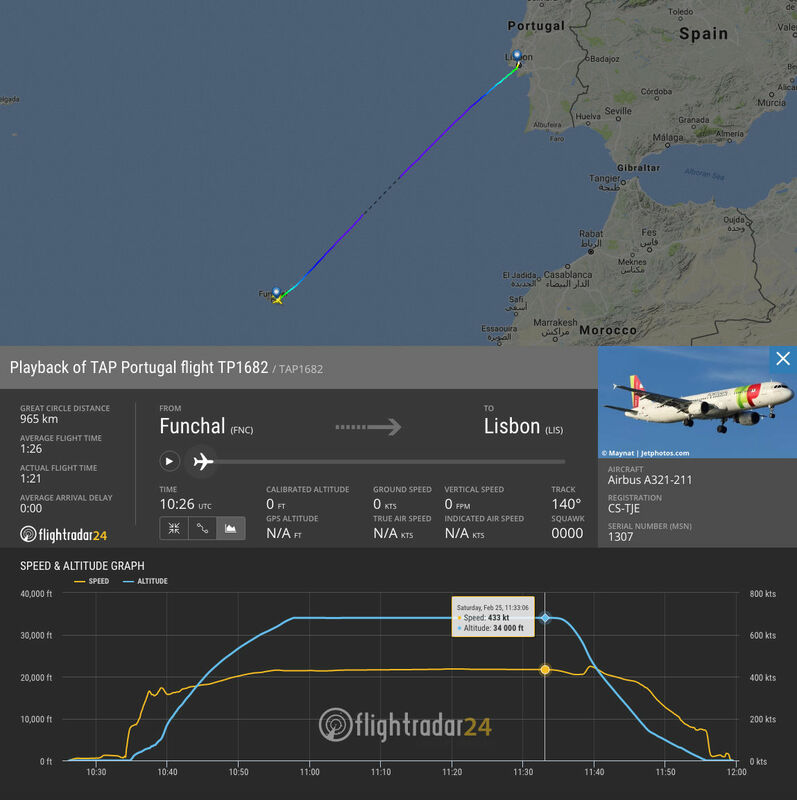 Another regional TAP, this time ATR72-600.